There are elements of Fake News regarding the Trump presidency that are surreal to watch. The hate, the orchestrated phony presentations, the ignorant partisan guests and the out right contemptuous behavior toward the 45th President of the United States is without precedent. 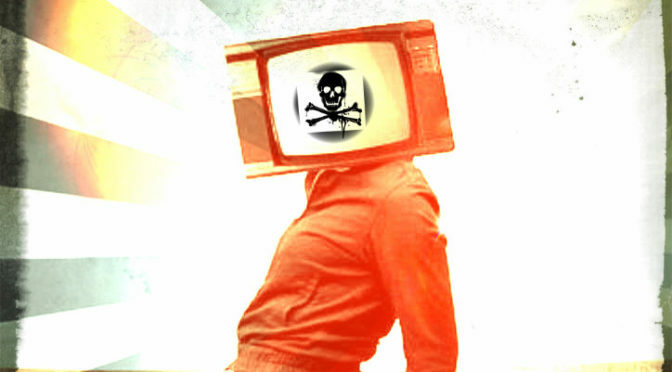 In a word, the “mainstream media” has become toxic. Each morning, beginning from 6 – 9 AM EST, MSNBC Morning Joe & CNN New Day dump toxic words of waste on the American public without fail. Both shows are a three hour hit job on the president. There is zero news, just three hours of Joe Scarborough and Chris Cuomo presenting fake toxic news with condescension, immaturity and little regard for the dignity of the Office of the Presidency. These two fabricators masquerading as newsmen are much more interested in reading their own headlines and securing accolades from their leftwing peers. Their broadcasts are never interrupted with real news or facts, just spew. The 53rd Regiment strongly recommends you avoid these toxic broadcasts of hate, misinformation and toxicities. People want to start their day with an uplifting message, not this trifle and inconsolable hate directed at President Trump and those that voted for him! Enjoy your day folks by avoiding the Scarborough and Cuomo toxic dump.